A WDO report may also be commonly called a "Termite Inspection", "Clearance Letter", or "Termite Letter". 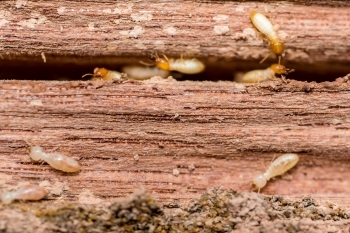 A WDO inspection not only checks for subterranean termites and dry wood termites but will also include wood destroying beetles and wood decaying fungi. Carpenter ants and carpenter bees are NOT reportable as a wood destroying organism on the state WDO form. By Florida statute, a WDO report is provided when a home or other structure is being sold and the mortgage lender or buyer requires the inspection as part of the transaction. If an inspection is done for these purposes, the inspection must be reported on a specific report form as required by Florida Law (Chapter 482.226, Florida Statutes and Chapter 5E-14.142(2)(c), Florida Administrative Code): WDO report form 13645, sometimes called the "1145 report" because of the old form number. Who can perform a WDO inspection? Persons performing wood-destroying organism inspections are required to have a pest control identification card from the state designating them as having received special training to perform WDO inspections. Every WDO inspector must carry their State of Florida identification card at all times.